Thank You – Cooking Guide is a Keeper! Thank you for the free books you have sent to me. 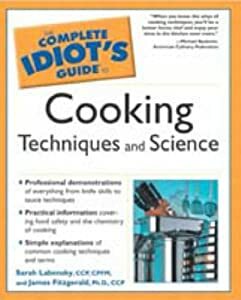 The first book “The Complete Idiot’s Guide to Cooking Technique/Science” was a perfect choice for me. I have read it twice (so far) and I’ve learned so much. I am visually impaired but with the help of a hand held magnifier I am able to read standard print. The most recent two books are in Large Print. Thank you for that consideration. Margaret Truman’s “Murder in the House” I have not seen before and “Nurse in London” by Jane ConVense was another great choice. The prison library here is limited on LP books but librarian helps locate LP books at the Parish Library for me. Again, thank you for the free books. I will donate them to the prison library so others can enjoy them. Well maybe not. The one on cooking – that’s a keeper! A prisoner sent us this thank you for the dictionary we sent. Dear staff at Lucy Parsons Bookstore, I’m sending you this card to thank yo so very much for sending the dictionary. Don’t never stop reaching out to others, ’cause you will receive a bigger blessing from God. Well you guys continue the good work. I really appreciate y’all. God Bless y’all. – A prisoner from Virginia.